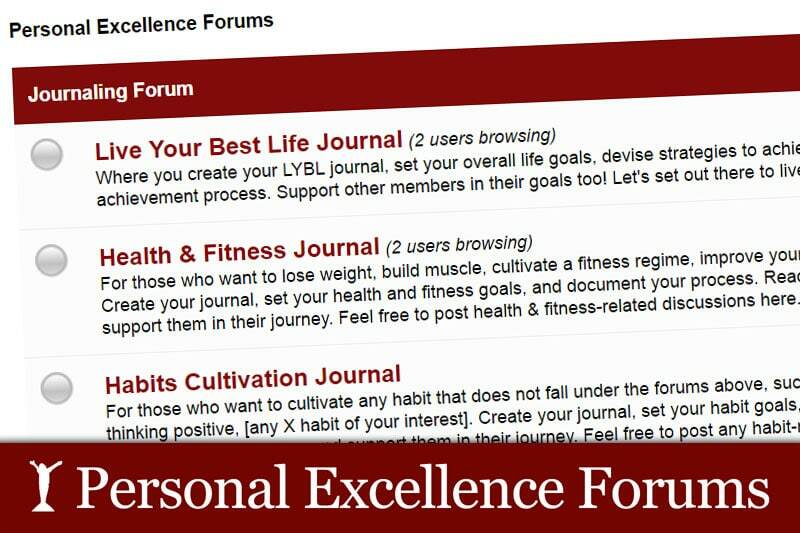 If you’ve been browsing the blog in the past couple of weeks or reading the past few posts, you’d know that we now have a new forum here at Personal Excellence, titled Personal Excellence Forums (PE Forums) 😀 If you haven’t visited and registered your account yet, you should! I’m not sure about you, but when I first actively started on my personal development journey a few years ago, I found it hard to meet like-minded people who seek a conscious life. People around me just didn’t see growth with the same interest or passion as I did. Even when I try to talk to them about it, they couldn’t understand where I was coming from. It felt like I was alone in the journey. Today I no longer have the problem as I’ve forged many new friendships since I started out, but back then I wished there was a common place or platform where I could meet such people. And I know that I wasn’t alone in that thought, because almost every day I would receive an email or two from readers on how people around them aren’t interested in growth / are negative / don’t understand them / etc, and how they wish they have more like-minded friends. This is why I’ve created PE Forums. With PE Forums, you can now meet other like-minded people and get support in your journey of growth. So far, we have 559 posts in 74 threads and 65 registered members. The numbers will only increase with time as the community grows bigger! Membership is free and for life, so register and say hello to everyone in the introductions forum! We already have a few discussions going in the General Forum and other sub-forums too, so join us there too. Feel free to also start your own threads/topics in the respective forums.